Intermediate Tap: Level 1 - Mar 24, 2019 - Oak Park-River Forest Chamber of Commerce, IL ? ?Buffalo? your way to Broadway in our most popular dance class! This rhythmic class explores the history and fundamentals of tap dancing. 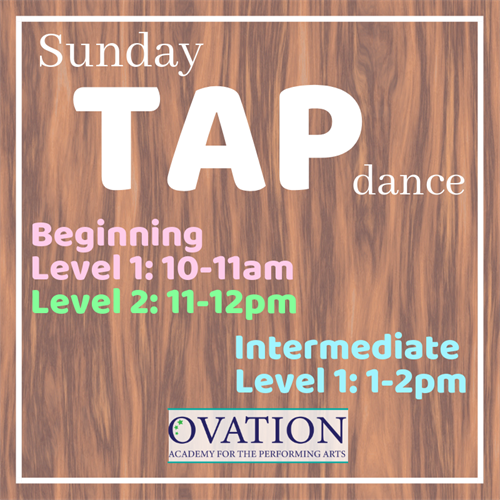 Hone tap skills including rhythms, beats, and physical musicality in a supportive, high-energy environment. In addition to perfecting level-appropriate tap steps, students will put their new skills into action through classic Broadway tap numbers!